International award winning comedian Michael Bennett has his audience Laughing Out Loud with his electrifying charisma and wide eyed persona. 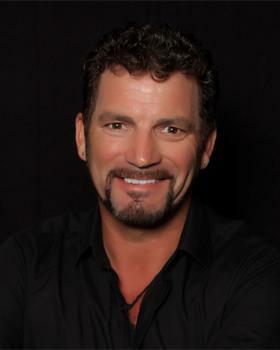 Michael is an extremely popular entertainer on the South Pacific Comedy Circuit and Cruise Lines. Michael is most famous for his work at Warner Brothers Movie World on the Gold Coast where he performed for 16 years as Stunt Action Performer and Stunt Shows Warm Up Artist Mad Mike for the Police Academy Stunt Show. Michael Bennett (Mad Mike) was winner of the BIG ‘E’ Award for Best Atmosphere/Street Performer of the world’s theme parks by IAAPA (International Association for Amusement Parks and Attractions) in 2006. Michael will have you totally captivated introducing a new flavour to comedy with his dynamic energy, weaving his talented skills of magic and balloon artistry into his thought provoking messages and hilarious comedy performance.